Setting up the Christmas tree? I always say "this year I'm going to decorate my home for the Holidays starting November", for some reason or another (I get busy working on Holiday Decorations) I end up decorating at the end of the month. So If you, like me, haven't started yet, or if you already have but you think something is missing, I have the right thing for you! I've just finished a few ornaments and I'm sure you'll find your favorite in here. 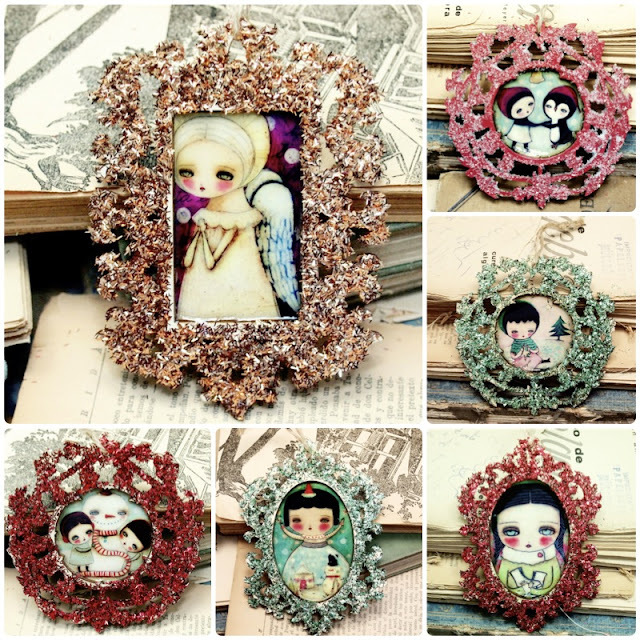 There are hand painted ones as well as printed and embellished. 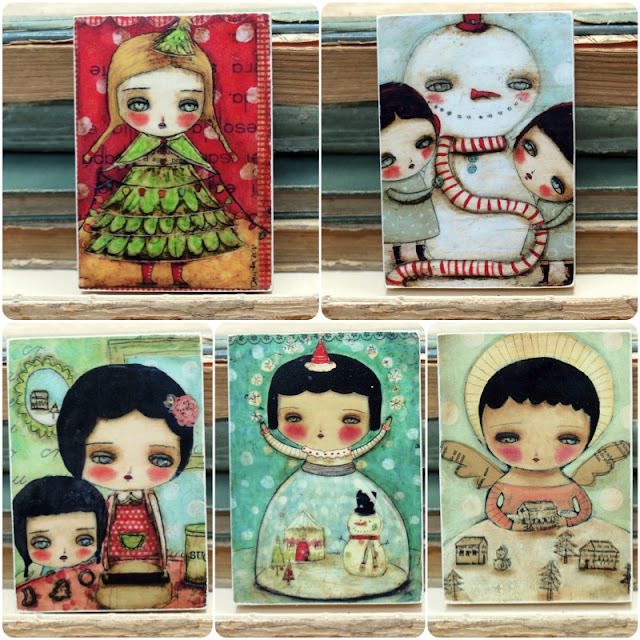 I also added a few new Aceo size woodblocks to the shop. If you need that extra something to spice up your walls, you know where to find it! (Just click on the pictures and they'll take you right there).